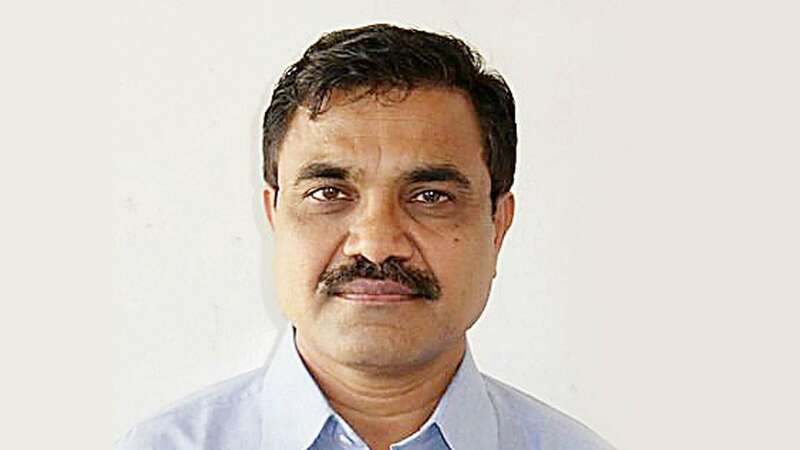 Feb 2 (AZINS) Within hours of Pune Special Court rejecting his anticipatory bail plea, Dalit scholar and activist Dr Anand Teltumbde was arrested in Mumbai by the Pune Police in wee hours of Saturday. He was arrested in the Elgar Parishad case for his alleged Maoist links, officials said. "The court rejected his anticipatory bail plea and then our team went to Mumbai and arrested him today morning," said joint commissioner of Pune Police Shivaji Bodkhe. He would be produced before a court in Pune later today, he said. "Since his pre-arrest bail plea was rejected by the court in Pune on Friday, we decided to arrest him today," Investigating officer and Assistant Commissioner of Police Shivaji Pawar said. According to police, Teltumbde was flying from Kerala to Mumbai in wee hours of Saturday. He landed at Mumbai airport where a team of police was already present. As soon as he landed at the airport, police detained him. After questioning him for some time, he was arrested. Teltumbde's lawyer Rohan Nahar, however, termed the arrest illegal, saying the Supreme Court had given him protection from arrest till February 11. "His arrest is a contempt of the apex court order, and we will move a plea against it," he was quoted as saying by PTI. Senior advocate Indira Jaising also took to Twitter to protest the activist's arrest and demanded his immediate release. "Dr Anand Teltumbde arrested at 330am at Mumbai airport by Pune Police in Gross violation of SC order giving him protection from arrest till 11th February, this is contempt of the order of the Supreme Court of India #ReleaseDrAnandTeltumbde immediately," she said. Teltumbde has been named in the FIR which Pune police has registered in connection with the Maoists link to Elgaar Parishad case. Teltumbde had approached the court to quash the FIR against him. The Supreme Court had rejected his plea of quashing the FIR against him but had given him protection of four weeks from arrest where he could apply for bail in appropriate court. He had approached the Pune court and applied for anticipatory bail. The prosecution had opposed his bail claiming that the Pune police have corroborative evidence against him which shows that he is involved in Maoists activities. The prosecution also claimed that some of the letters seized from earlier arrested accused had his name mentioned in some of the letters. There is also an evidence of he received funding from the banned outfit CPI (Maoists). Additional Sessions Judge Kishor Vadane had observed on Friday that an investigating officer has collected sufficient material "to show the involvement of the present accused (Teltumbde) in the alleged commission of the offence". Pune Police claims that Maoists had supported the Elgar Parishad conclave held at Bhima-Koregaon on December 31, 2017, and the inflammatory speeches there led to violent clashes near the war memorial the next day.